Danielle Taylor is an honors graduate of Baylor University School of Law. At Baylor she received numerous advocacy and academic awards, including Best Oral Advocate in the American College of Trial Lawyers Moot Court Regional Competition and Best Oral Advocate in the Strasburger & Price Moot Court Competition. Danielle also served as Senior Executive Editor of the Baylor Law Review. 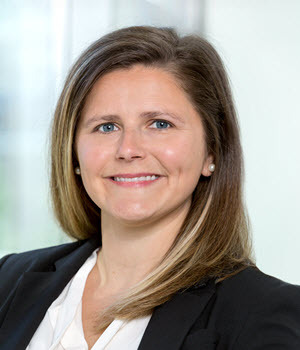 In her final year at Baylor, the Law Review published her article on litigating workplace injuries, which earned an award from the Texas Trial Lawyers Association for best article published in the Law Review in the field of torts and workers’ compensation. Prior to attending law school, Danielle worked in varying capacities with the Texas Legislature, primarily in the areas of energy, dentistry, public health, and insurance. She was also a regular speaker at health care conferences and presented on a number of special interest topics including grassroots advocacy, health care legislation, insurance contracts and regulations, business formation, and managing adversarial groups. Her experience in public policy and lawmaking provides her with valuable insights on statutory and regulatory interpretation and advocacy. Risky Business: How an Employee’s Awareness of a Risk Can Destroy an Employer’s Duty in Non-Subscriber Litigation, Baylor Law Review, January 2016. Employment Law Update, 39th Annual Advanced Civil Trial Course, 2016. Hot Issues in Employee Benefits: Should You Opt Out of the Texas Worker’s Compensation System and Are You Ready for the Affordable Care Act? 13th Annual Advanced In House Counsel Course, 2014.